Kayla Mak Competing in The Cut on “World of Dance,” Ryder Koehle Departs THE FERRYMAN, and more! Kayla Mak (Radio City Christmas Spectacular) competed in The Cut on “World of Dance” at 8/7c tonight! Happy Trails to Ryder Koehle, who played his final performance as Bobby Carney in The Ferryman tonight! Congrats on a great run, Ryder! Tonight, (YOUNG) performed again at The Green Room 42! Get more details HERE. And here are pictures and videos from the kids of Harry Potter and the Cursed Child, The Ferryman, The Lion King, What the Constitution Means to Me, and Waitress! 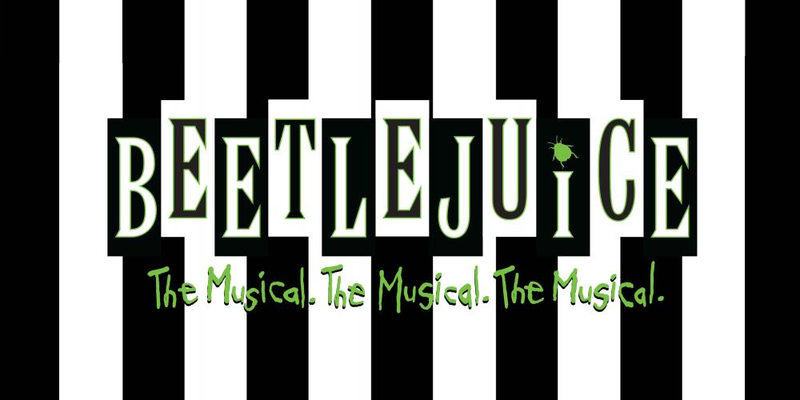 New “Beetlejuice” Production Photos, Our Interview with Adrianna Bertola, and more! 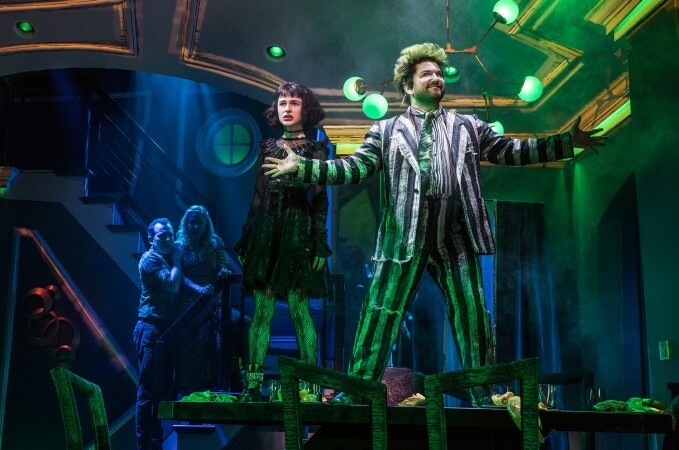 New production photos for Beetlejuice have been released! Check out the whole gallery at Broadway World. In case you missed it, we posted an interview with West End star Adrianna Bertola (Matilda, Les Miserables, The Sound of Music) who’s currently appear on the West End in The Twilight Zone! Read it HERE. Ryder Koehle will finish up his run with The Ferryman this weekend. Go see him if you can! TOMORROW: Be sure to stop by the Bernard B. Jacobs Theatre where the kids of The Ferryman will be selling baked goods to benefit BC/EFA between 5-6pm! Get more details HERE. And here are more photos from the kids of The Ferryman, Harry Potter and the Cursed Child, The Lion King, The Sccret Life of Bees, and Waitress! Erica Simone Barnett to Perform with Kidz Theater Ambassadors, Tyler Hentz Performing in NEWSIES at Central Bucks High School, and more! 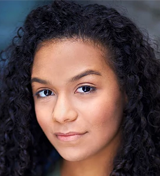 Tomorrow, Erica Simone Barnett (Matilda) and Kidz Theater’s other 2019 Ambassadors will perform at Studio 17N in Ripley-Grier to raise money for their Disney World trip and performance! Tickets will be sold at the door: $10 for kids/alumni and $15 for adults, cash only. 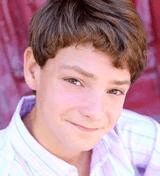 Tyler Hentz (Radio City Christmas Spectacular) is performing in Newsies at Central Bucks High School in Doylestown, PA, this weekend! Get tickets HERE. And here are pictures and videos from the kids of What the Constitution Means to Me, The Ferryman, and Frozen! WHAT THE CONSTITUTION MEANS TO ME Opens on Broadway, ANASTASIA Plays Final Performance, and more! 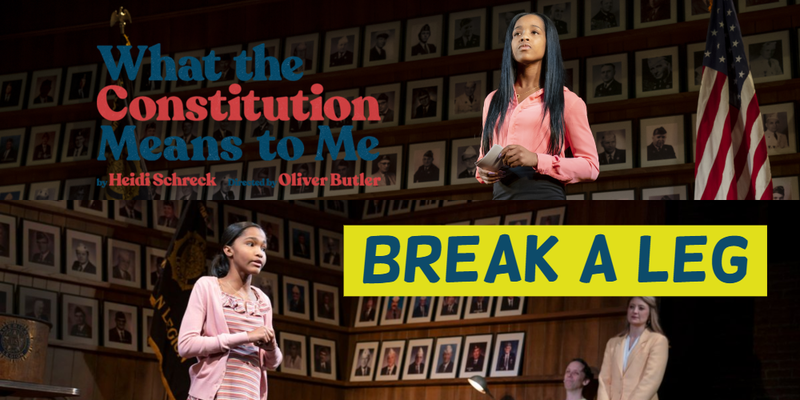 Happy opening to Rosdely Ciprian, Thursday Williams, and the company of What the Constitution Means to Me, which begins Broadway performances tonight! Break a leg! Happy trails to Delilah Rose Pellow, Anika Lore Hatch, and the company of Anastasia, which plays its final Broadway performance today. We can’t wait to see what’s next for you both; congrats on a great run! YBAN founder Lindsay saw 5-Star Theatricals’ production of Matilda in Thousand Oaks, CA, today, featuring Marcello Silva (A Christmas Story Live)! Sophia Anne Caruso (Beetlejuice) chatted about her dog with BroadwayWorld.com, and shared 10 fun facts with JustJared.com! And here are pictures and videos from the kids of What the Constitution Means to Me, Waitress, Anastasia, The Ferryman, The Lion King, Beetlejuice, and Frozen! Pictures from the Kids of FROZEN, THE FERRYMAN, THE LION KING, and WAITRESS! Check out these pictures from the kids of Frozen, The Ferryman, The Lion King, and Waitress! 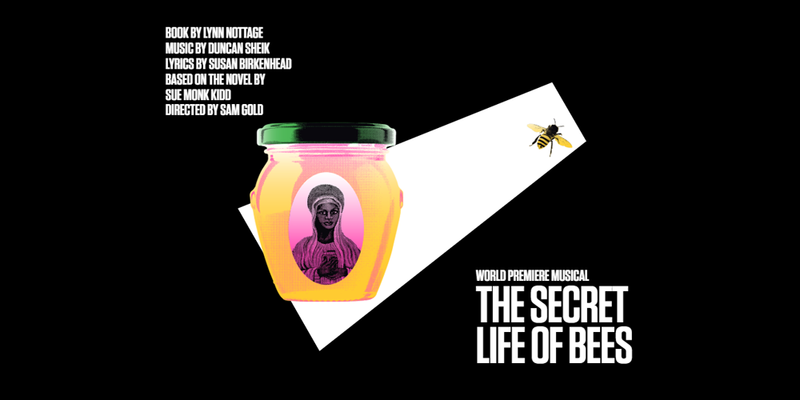 Catherine Ashmore Bradley, Grace DeAmicis, and Jack Pravda Join HARRY POTTER AND THE CURSED CHILD; Brigid Harrington Cast in THE GREAT GATSBY at University of Notre Dame; and more! Congratulations to Catherine Ashmore Bradley (A Christmas Story tour), Grace DeAmicis, and Jack Pravda, who will all make their Broadway debuts upon joining Harry Potter and the Cursed Child! Brigid Harrington (Mary Poppins) has been cast in The Great Gatsby at the University of Notre Dame! Get tickets HERE. And here are pictures and videos from the kids of Beetlejuice, Harry Potter and the Cursed Child, Frozen, The Ferryman, The Lion King, and What the Constitution Means to Me! Extra Tickets in This Week’s Friday Forty at HARRY POTTER AND THE CURSED CHILD, Anthony Rosenthal to Appear on FX’s “Fosse/Verdon,” and more! This week would be a good week to enter the Friday Forty at Harry Potter and the Cursed Child; find out why below! Anthony Rosenthal (Really Rosie, Falsettos) will appear in the brand new series “Fosse/Verdon” on FX! Be sure to tune in April 9th. Shaylin Becton (The Lion King) is currently appearing in a commercial for Lowe’s! Jessica Cherniak (Until Death Do Us Part) has booked a co-star role in a CBS series! 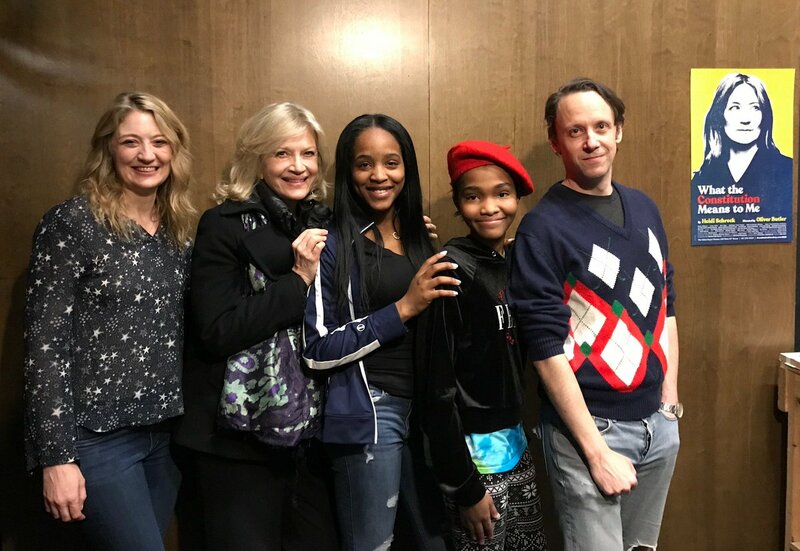 Check out photo coverage from the opening night party for the new cast of The Ferryman on BroadwayWorld.com, as well as pictures from the kids of the festivities!